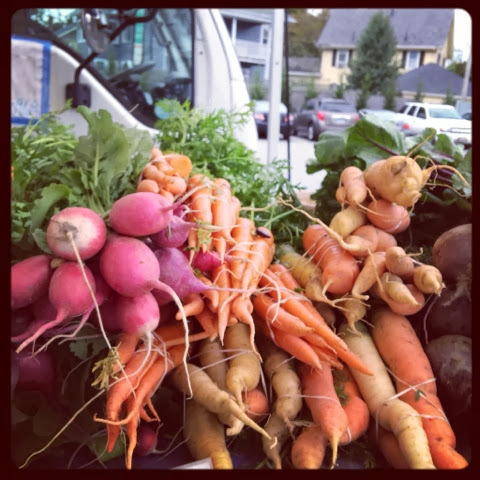 Before we batten down the hatches and welcome old man Winter in to our lives I have been trying to get out to the last few weeks of the local farmers's markets. 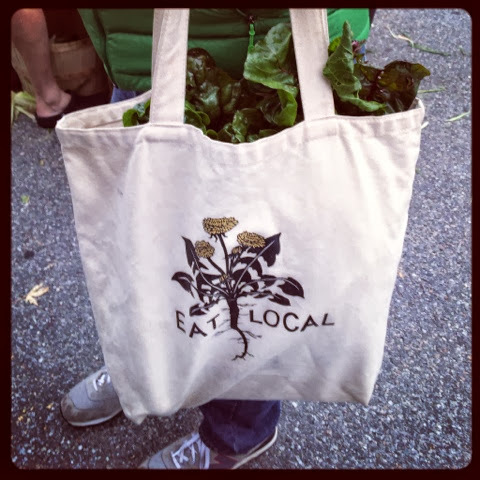 So armed with our canvas bag we hit up the Belmont Farmer's Market to see what we could find. 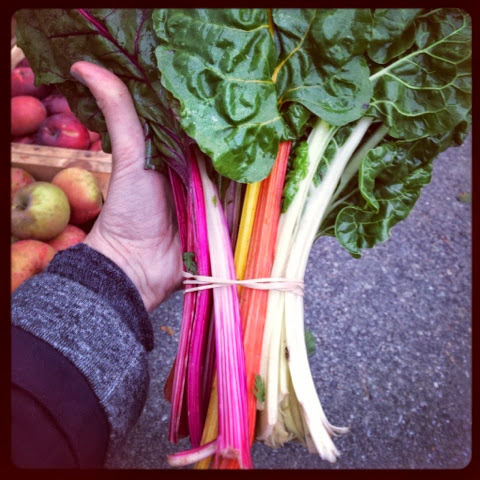 Now don't get me wrong i love the sweet strawberries and bright raspberries and sweet peaches in the summer months but I feel like the dark kale and rainbow chard and crunchy heirloom apples feel more quintessentially New England to me. A medley of root vegetables. 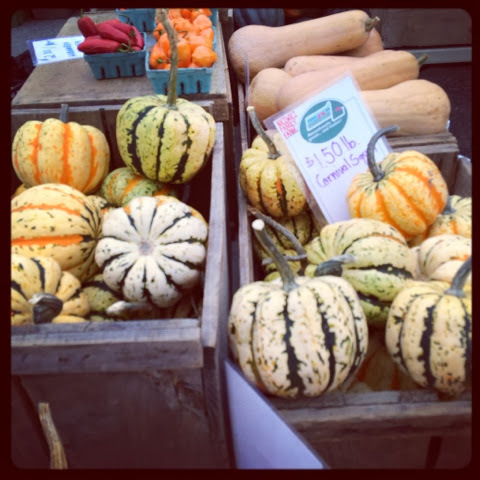 A bunch of interesting shaped gourds and pumpkins. 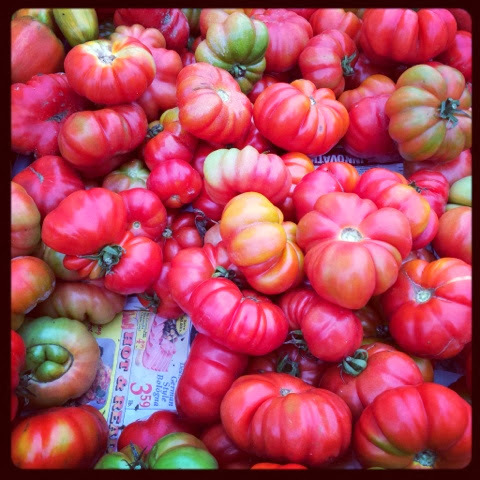 A whole passel of heirloom tomatoes. 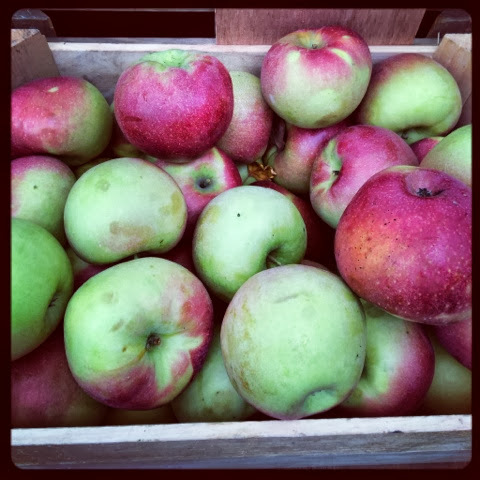 Boxes of crisp apples: Cortland, Macoun and Empire. And one of my personal favorites, Swiss chard. Not only because it is tasty but look at the colors! 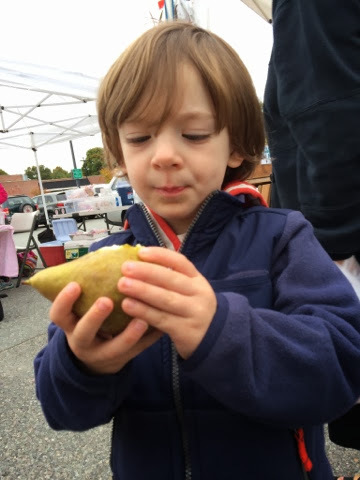 And of course mr. Oliver needed a snack, a Anjou pear seemed to fit the bill nicely.